I’ve gone back and forth on whether to write this. Especially now, since it’s been so long (Jack is now 7 weeks old, after all). 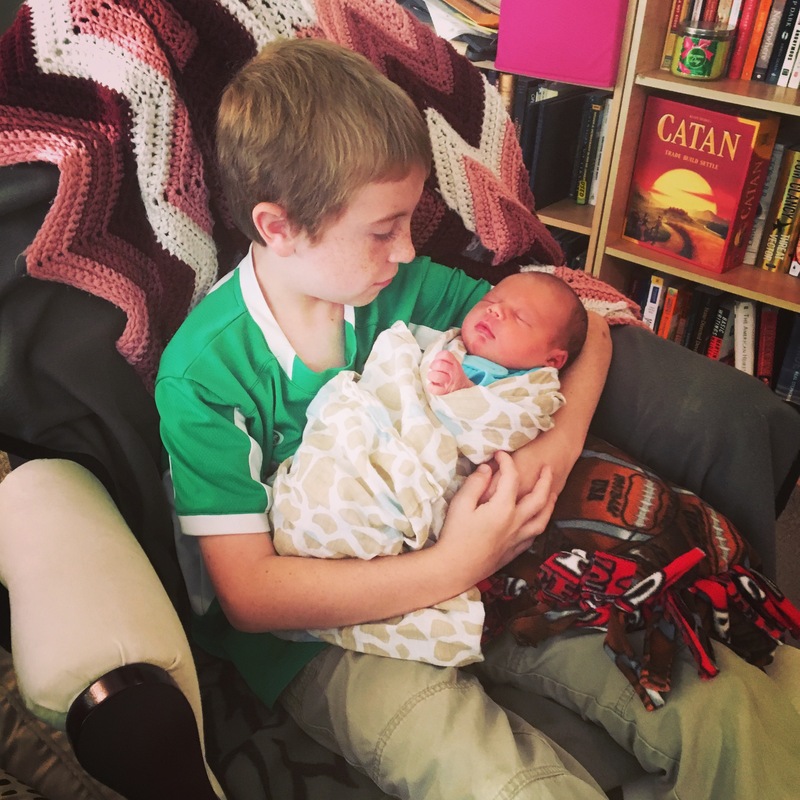 Plus, let’s be honest… who has time to write a lengthy blog post with a newborn in tow? But I feel like I it would be so abrupt to just leave Jack’s story on that last, 35-week pregnancy post. So let’s do this. First, let me say that we had a plan. (Of course we had a plan… this is me we’re talking about.) My doctor wanted to induce on Friday, the 18th. My mom was going to fly in the day before, and we were going to go grocery shopping and finish getting the house ready for baby, and then she was going to take care of James while we were in the hospital. It was all going to work out so nicely. So the Saturday before, Robbie had gone to play airsoft and James was with his mom, so I had the house to myself. I spent it doing some last-minute nesting projects. I went to my favorite taqueria for a carnitas tostada (as was my almost daily ritual by this point). 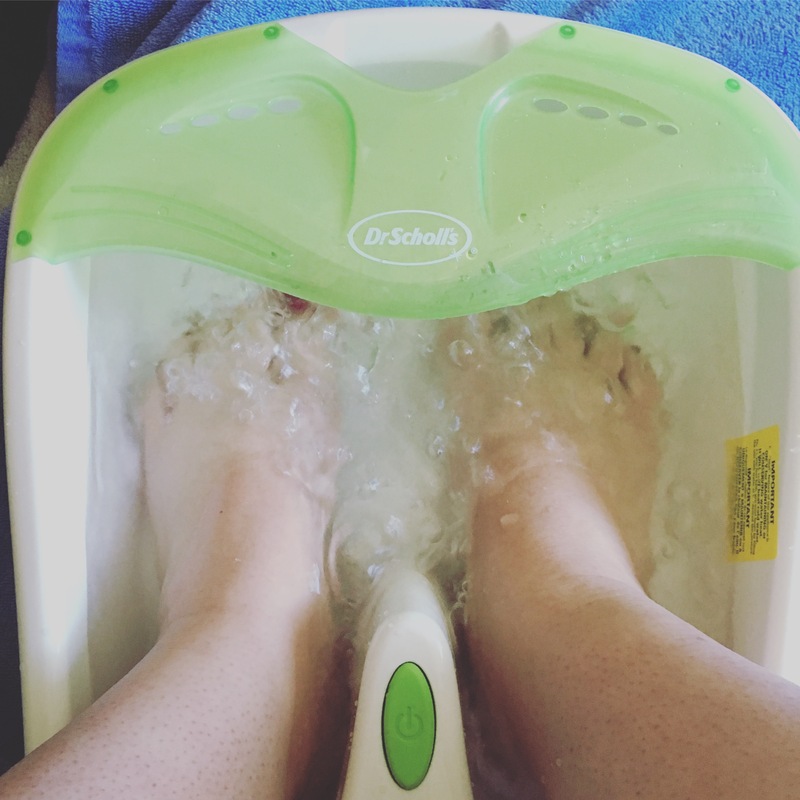 An awesome little foot soaker showed up at my door from Sydney, and I soaked my feet for a while in the afternoon. Then I met up with Robbie and some friends for pizza, and we laughed about her experience giving birth in the ER parking lot. We went home and stayed up late watching a movie, planning to sleep in the next day. We left all of the airsoft stuff all over the living room, thinking we’d have Sunday to clean it up. No big deal. Until I woke up at 4:30 Sunday morning to use the bathroom, and found that my water had broken all over our bed. Funny enough, thinking something like this might happen, I had ordered a waterproof mattress pad from Amazon that was scheduled to be delivered that day. 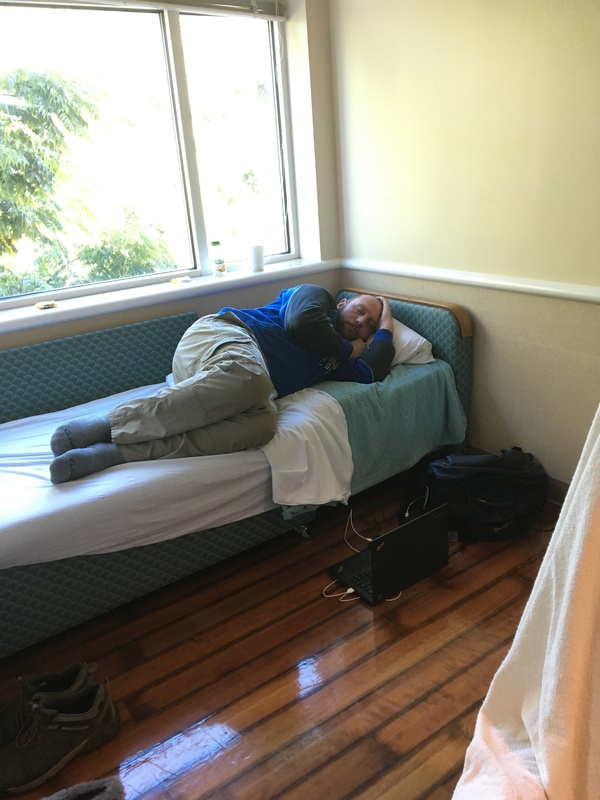 Luckily for us, my type-A medical brain had already put several chucks pads under the sheets on my side, so the mattress was mostly saved. 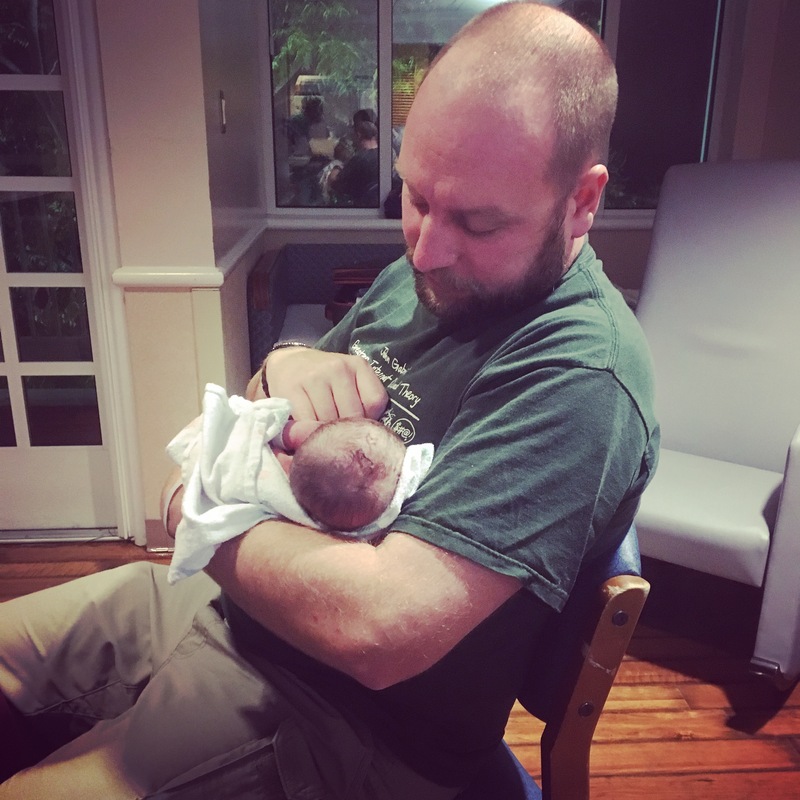 I phoned in to the labor and delivery department at the hospital to see what we should do. The on-call doctor decided we should come in. Luckily I already had my hospital bag mostly packed, so I threw in the last few things I would need. I showered, thinking it might be one of the last times I’d get to for a while. I texted my mom to tell her she’d probably need to change her flight. I stripped the sheets off our bed and set out our clean set for mom once she got there, unsure if we’d be back to make it for her. I looked at the living room, covered in airsoft gear, and at the piles of towels and other laundry that I had intended to wash on Sunday, and I cringed. I had intended to have my house so much more ready for my mom’s arrival than this. But there wasn’t time to deal with it now. 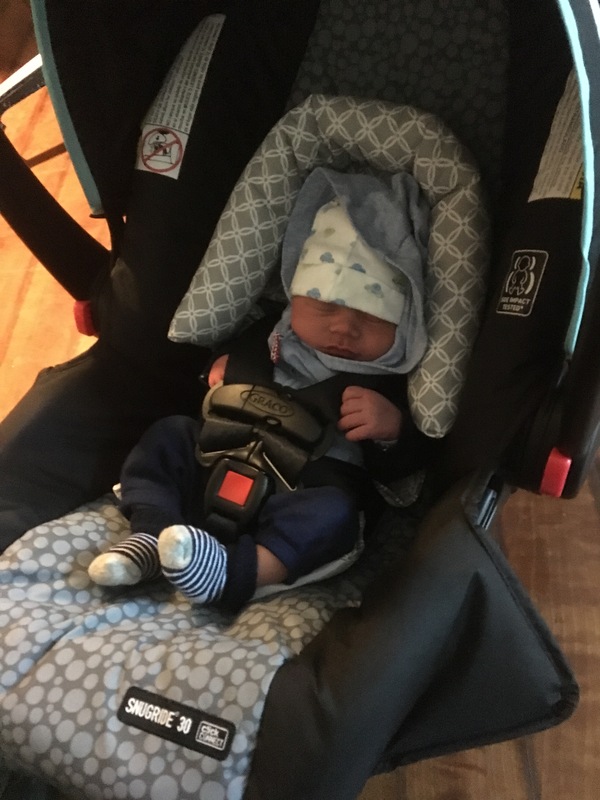 So we grabbed the bags and the car seat, and headed out the door. Since I had been told that they probably wouldn’t let me eat while I was in labor, I had Robbie stop at Jack in the Box for a “last meal,” if you will. I knew I still had many, many hours to go, and I was not about to run a marathon on an empty stomach. We finally got checked into the hospital somewhere around 6am. 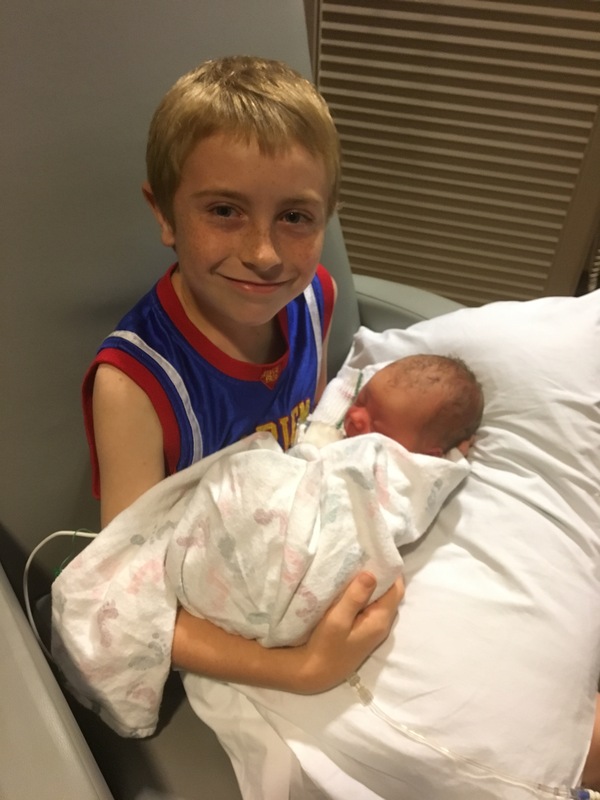 Once they got me hooked up to the monitor, we could see that I was having semi-regular contractions, but they weren’t very strong and I could hardly feel them. They chose not to check my cervix, in order to minimize the risk of infection since my membranes were already ruptured. My blood pressure was on the higher side, but basically the same as it had been during the last several weeks of pregnancy. My blood sugar was high, because I had eaten a sandwich for my “last meal”, albeit a very protein-heavy one. The doctor decided we should stay. Looking back now, I realize that I probably could have labored at home for several hours had my water not broken. It took quite a while to really begin feeling anything, and there really wasn’t anything to do but walk the halls and watch football. Luckily, the hospital cable had the Broncos game that day (and they did, thankfully, let me eat). I walked a lot and spent a lot of time bouncing on the exercise ball to try to get things to progress. Slowly, they did. By the afternoon the contractions were getting stronger and coming with more regularity (though I didn’t time them, since we were already in the hospital and there wasn’t much point). They began to get uncomfortable, though not much worse than my worst menstrual cramps. I naively thought maybe this wasn’t so terrible. Maybe I could push through and go drug-free. Now let me say that I really had no expectations going into my delivery. 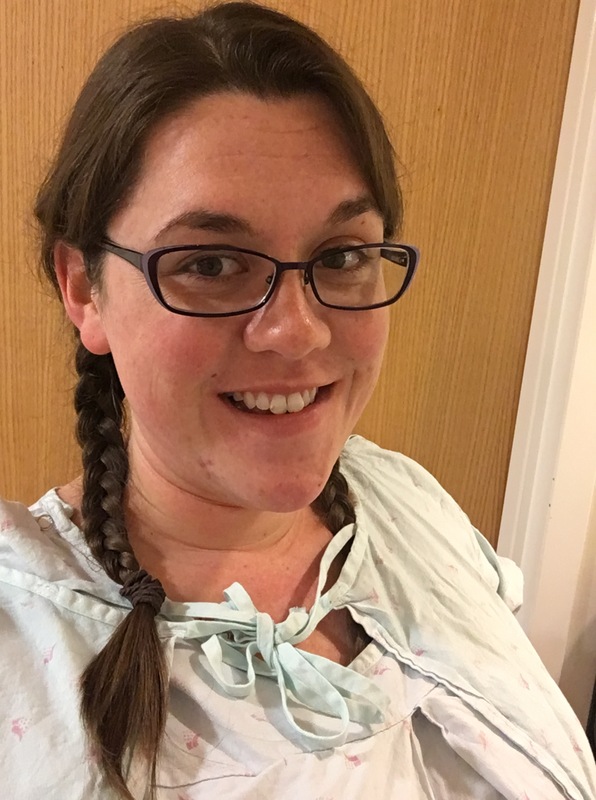 I had decided that I would simply see how I felt as things progressed, and would have no guilt about accepting medications or an epidural if I felt like that’s what I need to get through it. 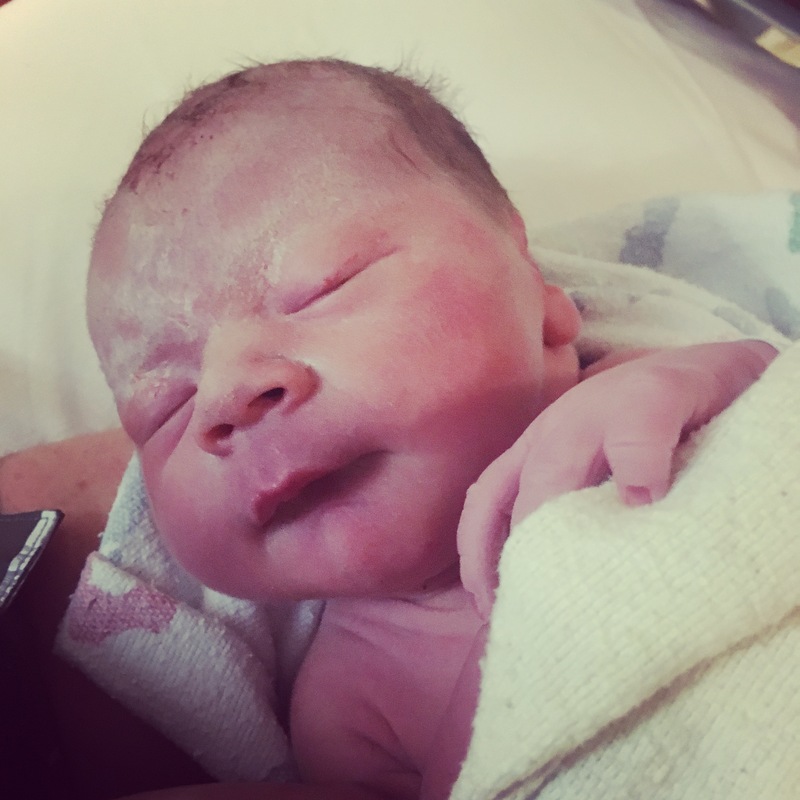 I knew that an epidural could slow my labor, so I wanted to labor naturally for as long as possible, but that was my only wish. Otherwise, I gave myself permission to do whatever I needed to. By dinner time things had really started to pick up. Each contraction stopped me dead in my tracks. I remember trying to talk to my mom on the phone and being unable to speak as a contraction hit. I had taken to sitting on the exercise ball and leaning over a stack of pillows on the edge of the bed for comfort. By around 7pm I decided to try the bathtub. The tub was actually really nice. I wasn’t lucky enough to get a room that had its own, so I had to use the tub down the hall that didn’t have working jets, but the warm water still felt really good. But even that soon ceased to provide enough relief. The pain had become so powerful that I dreaded each contraction, and I was afraid to move. 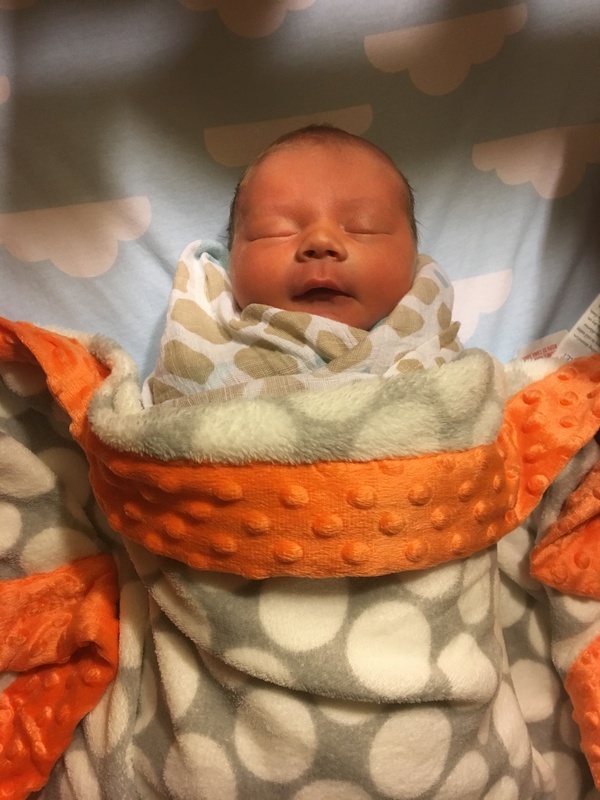 And when I finally decided to get out and ask for an epidural, Robbie had to talk me into actually getting out because I was too afraid that moving would bring on another contraction and I wasn’t sure I could handle it. By 9:30 I gave in and asked for an epidural. Of course, it took some time for the anesthesiologist to arrive and prepare everything, and by then I was borderline hysterical. I could barely talk, could barely open my eyes, and was openly crying. The nurse tried to check my cervix, but I was in too much pain to tolerate her touch. Once the nurse got my IV in she gave me a dose of Fentanyl, which was a total lifesaver. I don’t think I could have gotten through the epidural placement without it. The fentanyl kicked in, they finally got the epidural in, and by 11 I involuntarily passed out from exhaustion and newfound relief. Somewhere around 1am I woke up very nauseated. After throwing up, I asked the nurse if she could try to check my cervix again. I had heard that nausea was sometimes a sign of transition, and I mentally needed to know where we were at in the process. It’s been so long now, I don’t remember exactly what I was dilated to, only that it was a disappointingly low number, like 2 or 3. I tried not to get discouraged, and went back to sleep. A few hours later, I threw up again. This time I noticed that I was also feeling more pain, especially on one side. The anesthesiologist checked that the catheter was still in good position, and gave me a bolus of medication. He had to do this again later that morning, too, and almost had to a third time until we realized that my catheter was somewhat positional, and a change in position helped the medication reach a more generalized area. Before long my legs felt like they weren’t even attached to me anymore. Around 6am we noticed that my contractions had slowed. 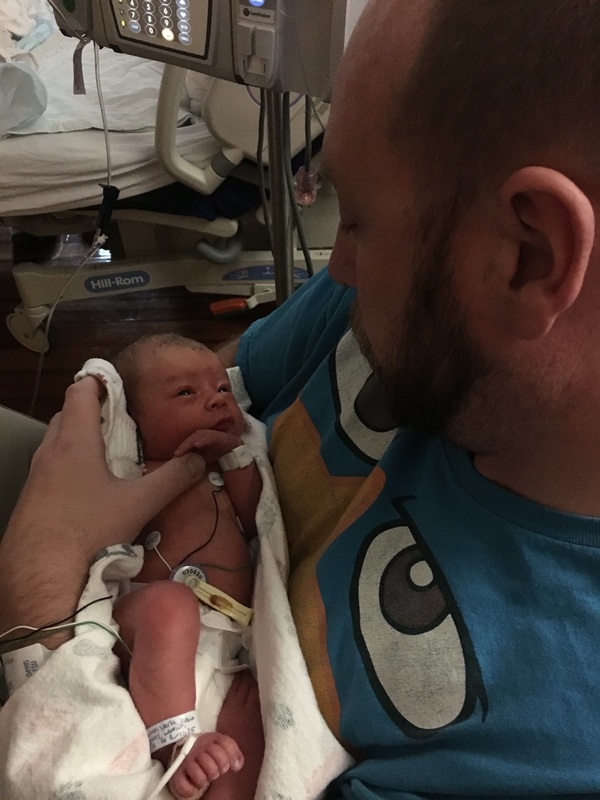 The epidural had slowed my labor, just as I’d feared. By 9am, nearly 30 hours since my water had broken, they checked my cervix again and I was only dilated to 5. 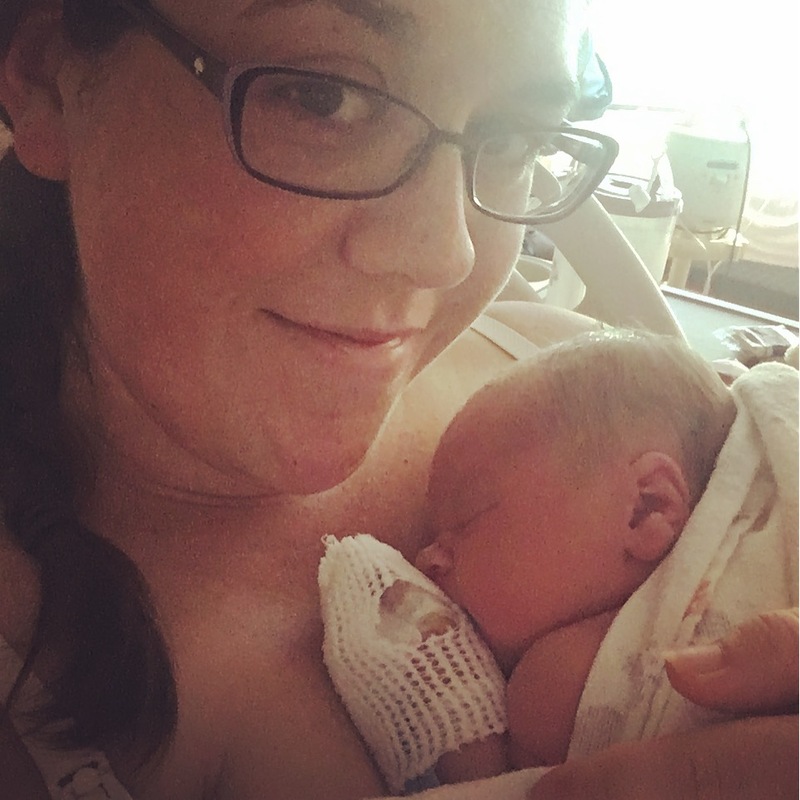 With no improvement in my contractions, the midwife (the on call practitioner that day) decided to start Pitocin. My mom finally arrived around 11:30. 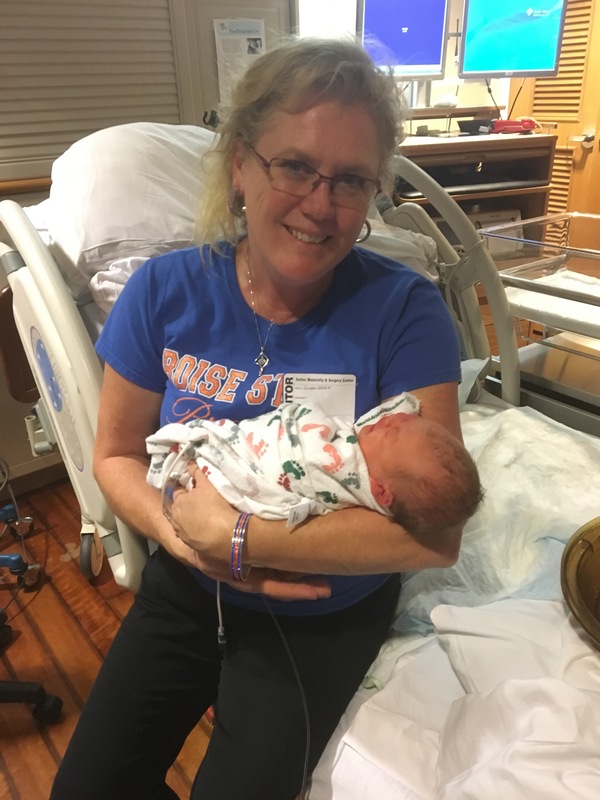 As tedious as labor had become, I was grateful that Jack had waited long enough for Grandma to get there. Now we needed him to hurry up! By around 1pm, my contractions had only minimally improved and I was still only dilated to around 7. 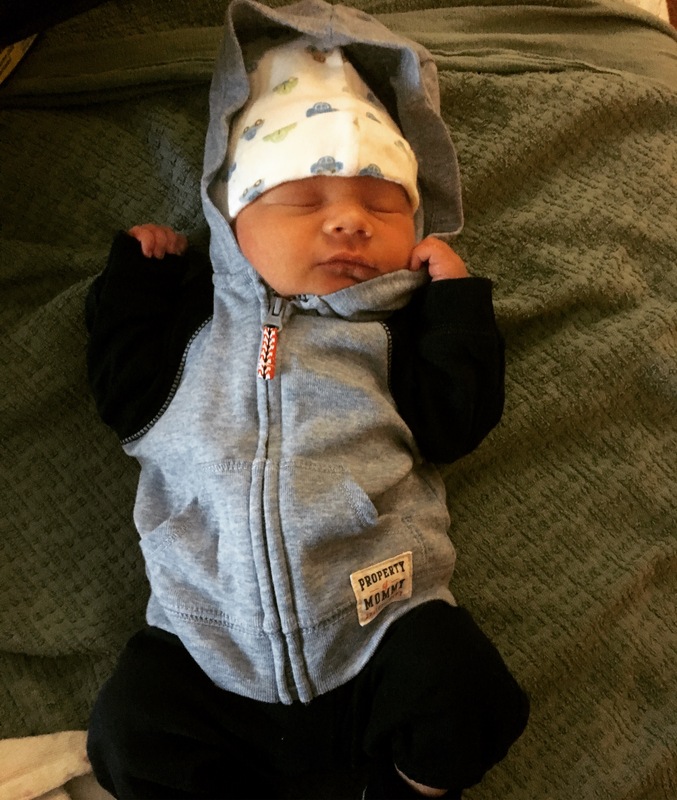 The midwife opted to increase my Pitocin dose. Finally, around 3:30, I was fully dilated and ready to push. 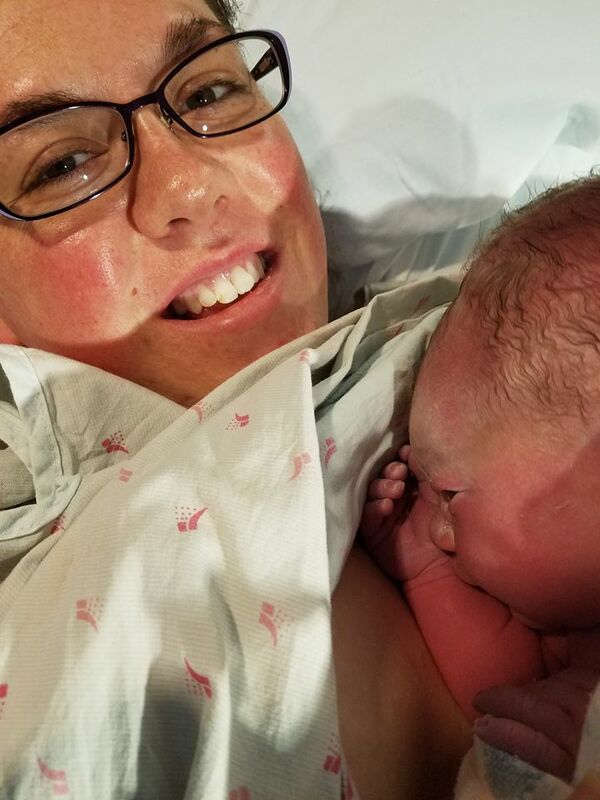 I had witnessed enough deliveries that I felt like I knew what I was doing, but with the epidural I literally could not feel anything. Robbie held my right leg and my mama held my left, and I pushed. And as long as labor had been, delivery was equally quick. 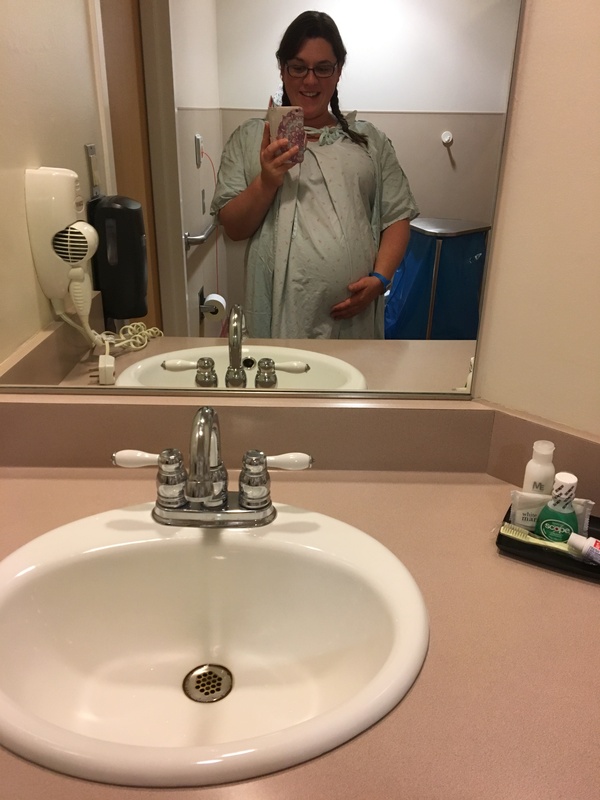 After a mere 45 minutes, my midwife asked me if I wanted to feel his head, and I did! He was right there! 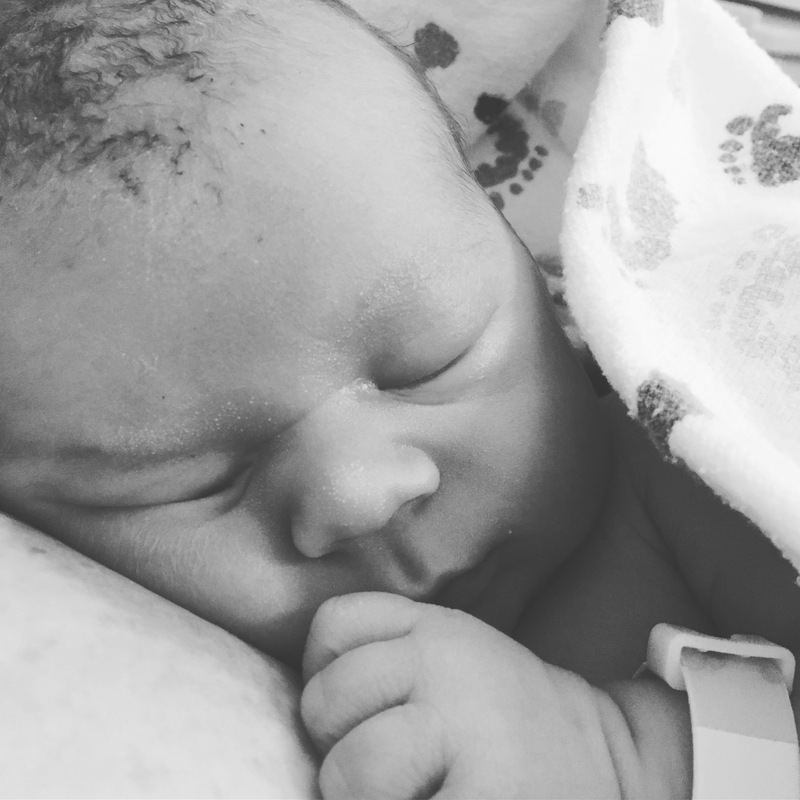 And finally, at 4:25pm on Monday, November 14, at exactly 37 weeks, my sweet boy was born. I heard him before I saw him – a perfect, loud, lusty cry. 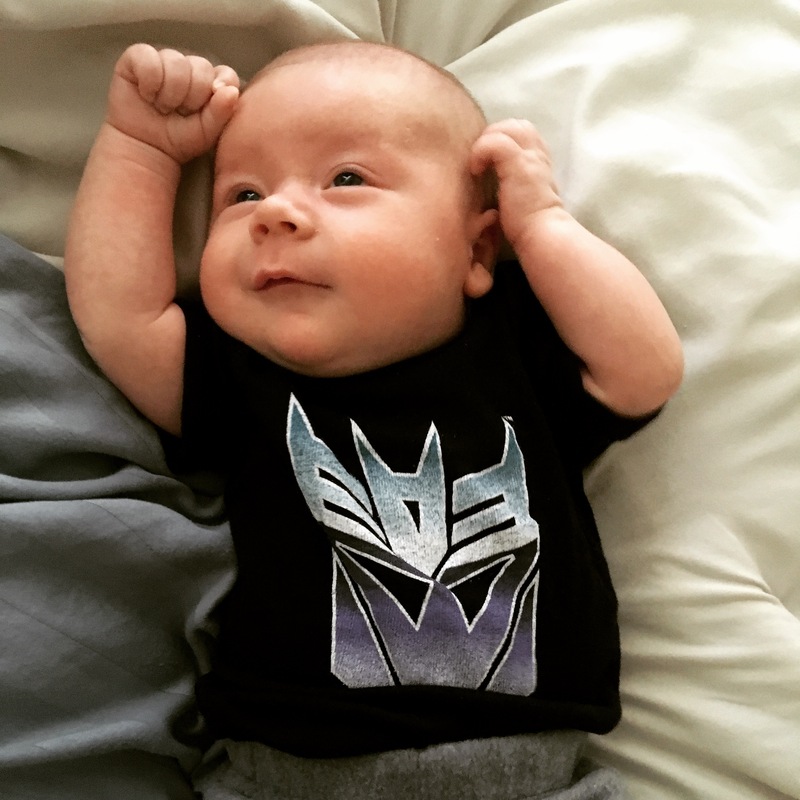 And then they placed him on my bare chest, and I fell in love. Robbie opted to let grandma cut the cord. We spent the next few hours getting to know each other, while grandma went to pick up James. James and grandma were both smitten. The next few days weren’t easy, unfortunately. Jack had some transient tachypnea, and wound up getting 48 hours of IV antibiotics just to be safe. 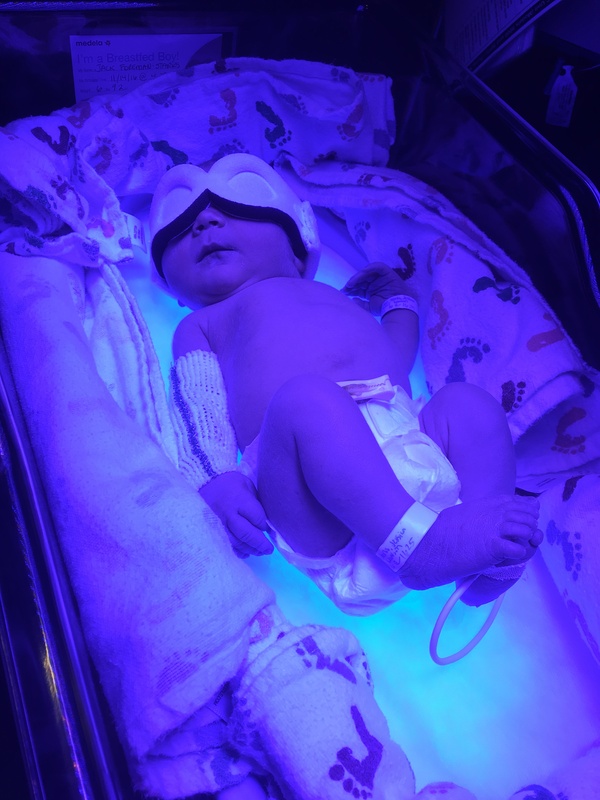 He also got to experience the joys of phototherapy due to a high bilirubin level (jaundice), and wound up staying an extra day once his antibiotics were finished due to that. Luckily for us, our hospital was able to do all of this with him still in our room, so he didn’t have to go to the NICU as he would have at another facility. 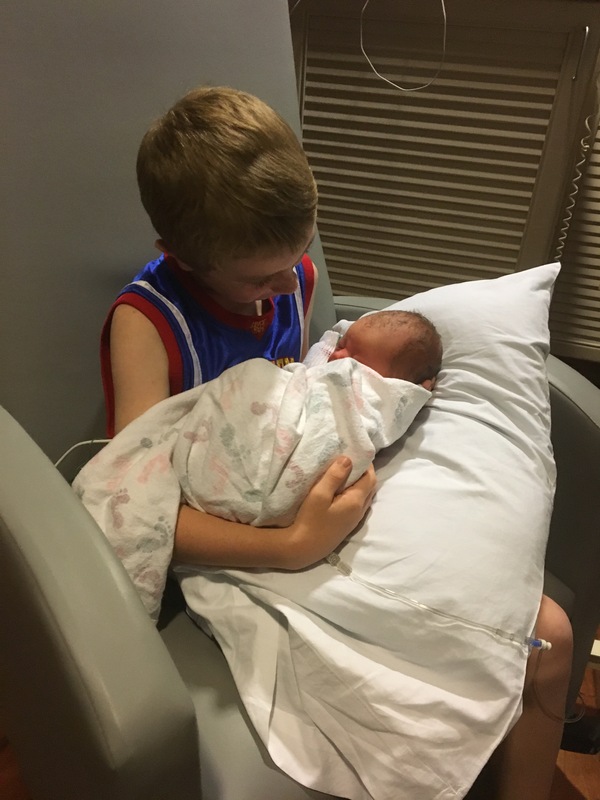 But between the sleep deprivation, the post-partum hormones, and the stress of these complications, it was a very emotional few days for this mama. And much to my surprise, no amount of NICU experience could have prepared me for how hard it was to see my own baby in pain. I was a bit of a mess. But finally, on Thursday afternoon, we got to take him home. I was so nervous our first night. I must have gotten up to check on him at least a dozen times. But it was so good to be home. And now, 7 weeks later, our sweet Jack is a chunky monkey, full of smiles and energy.